Seeing a large hole in the ground isn’t that exciting, until you discover that the hole is evidence of a meteorite crashing into the Earth’s surface. Then it all becomes a bit more fascinating (and educational). Take a drive out of Flagstaff to visit Barrington Crater. Learn more about the crater by stopping at the visitor’s center and catching a movie or participating in the Interactive Discovery Center. Get up close and personal with the crater by taking a hike on your own or on a guided hike. What can I see and do at Barrington Crater Arizona? If you’re in Northern Arizona you have to stop by the meteor crater for a fun, science filled afternoon. 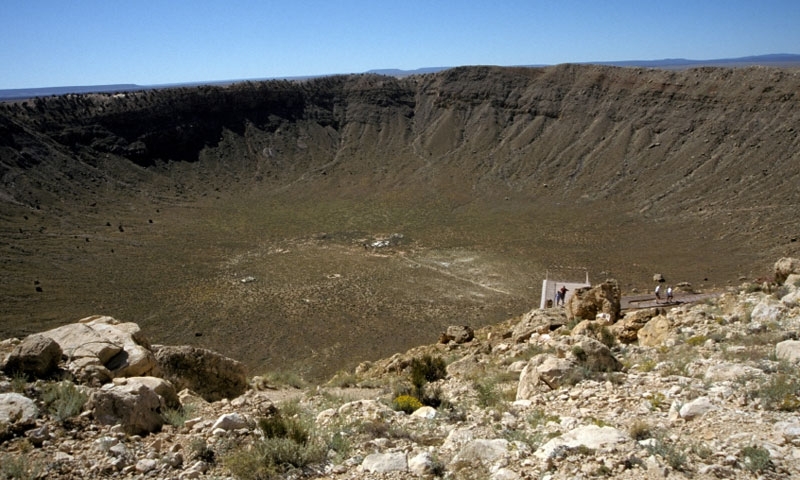 The crater is about four thousand feet wide, five hundred and seventy feet deep, and fifty millennium years old. 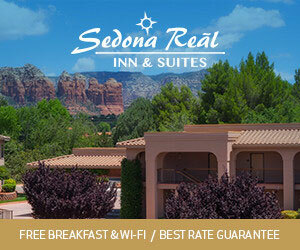 Its rim is encased by desert plains, and its center is full of huge piles of bedrock rubble. In fact, most people find it interesting and amazing that this much damage was done by a meteorite that was not much bigger than a small rock. More fascinating though is that it was formed during the time of the wooly mammoth, when human habitation did not exist in North America. Visitor’s Center: A theatre, crater viewing area, trail access to the crater, artifacts and exhibits, gift shop and a Subway (in case you get hungry). Two films are worth watching in the theatre; one even shows how the meteor hit Earth. Rim Tour: Take a tour along the rim of the crater and witness the aftermath of several thousand tons of material hitting the Earth. Guided tours are offered and depart every hour between 9:15 a.m. and 2:15 p.m. The tour can take up to an hour. Interactive Discovery Center: If you are here to learn, then geek it up at the Interactive Discovery center, which offers 24 interactive displays and exhibits. Where is Barrington Crater Arizona? It is roughly 30 miles outside of Flagstaff, in Winslow, Arizona, along Interstate 40 East. Take exit 233. When is Barrington Crater Arizona open? Summer (Memorial Day to Labor Day): 7:00 a.m. to 7:00p.m. Fall, Winter, Spring: 8:00a.m. to 5:00p.m. How much does Barrington Crater Arizona cost?